It’s summer harvest! Ratatouille is an excellent dish for this time of year. 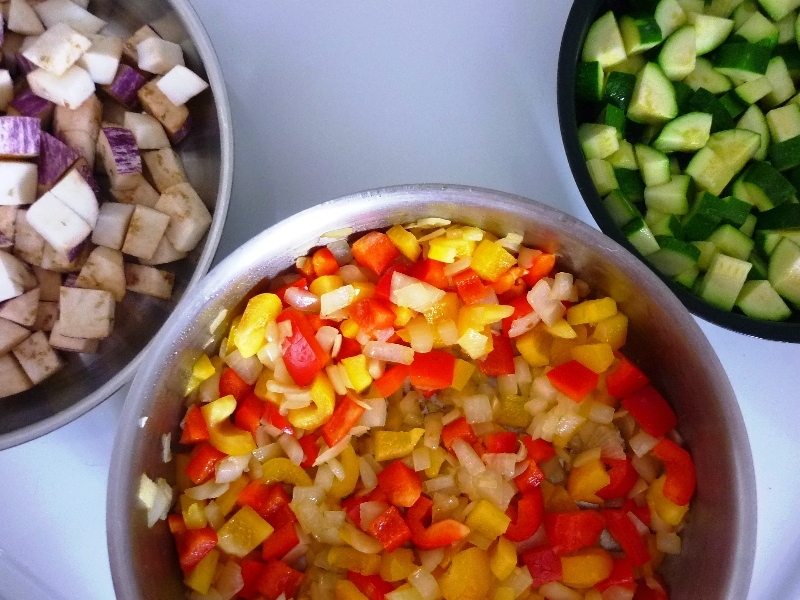 Apparently, the secret to a perfect ratatouille is to sauté the vegetables separately before the final simmer. I know it sounds like a lot of unnecessary pots and pans to wash, but the end result is truly amazing. 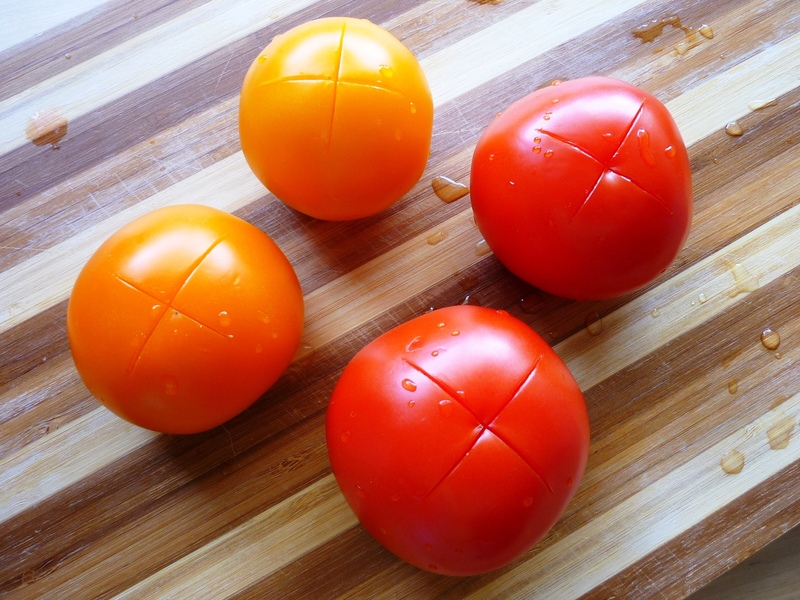 Score a cross under each tomato. Drop them in boiling water for 20 seconds and peel the skin off. 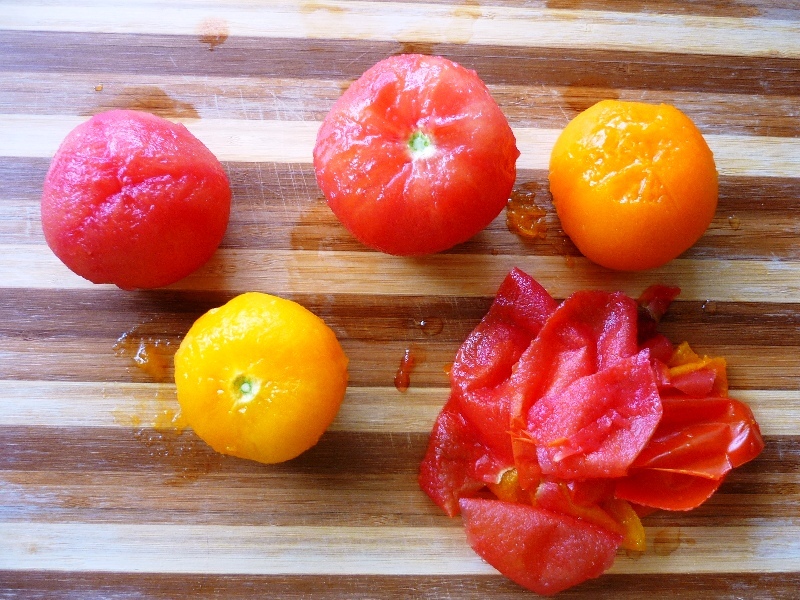 Your tomatoes are now naked. Chop roughly and set aside. Heat olive oil in 3 frying pans. In the largest pan, add the onion and cook over low heat for 5 minutes. Add the peppers and cook, stirring, for another 5 minutes. Meanwhile, fry the eggplant and zucchini separately. When the eggplant and zucchini are lightly browned, mix them with the onion/peppers in the largest pan. Add the tomato paste, stir well and cook for 2 minutes. Add the chopped tomatoes, thyme and basil sprigs, bay leaf, 3 crushed garlic cloves, brown sugar, and salt and pepper. Stir well. Cover and cook for 30 minutes over low heat. Discard the bay leaf, the thyme and basil sprigs. Just before serving, add the last garlic clove, minced, and the chopped parsley. 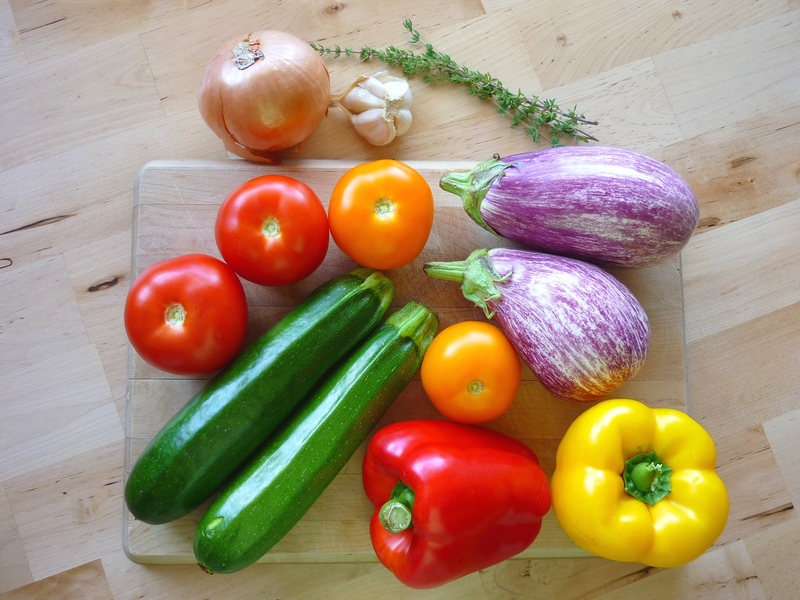 You can serve ratatouille warm or cool, as a side or a main dish. I served it as a side dish to a simple baked tilapia with lots of lemon juice. Enjoy! We did follow the recipe and it is amazing with tilapia and white Muscat wine. Thank you! You made our romantic diner unforgettable. stunning. i have to make this! !